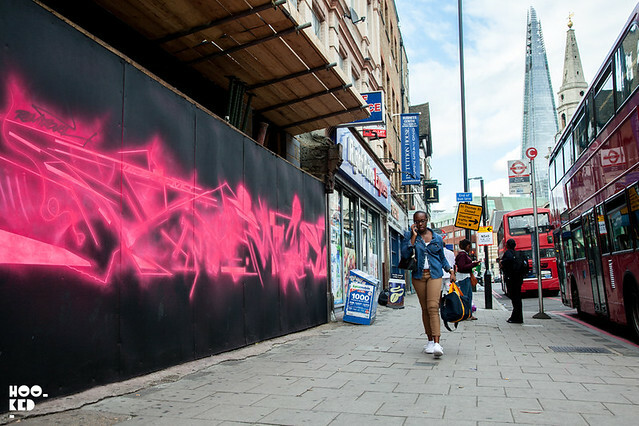 We were stopped dead in our tracks on Sunday in South London by a new mural titled "Neon Burner" featuring the work of Remi Rough and SHOK-1. 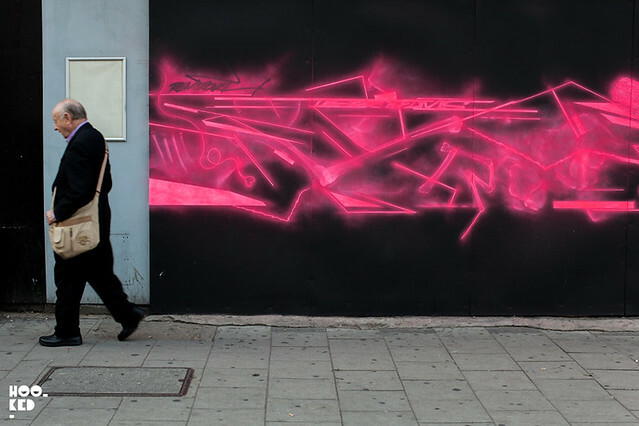 It's not the first time these two London based artists have worked together and we imagine it certainly won't be the last looking at this impressive mural they completed recently. 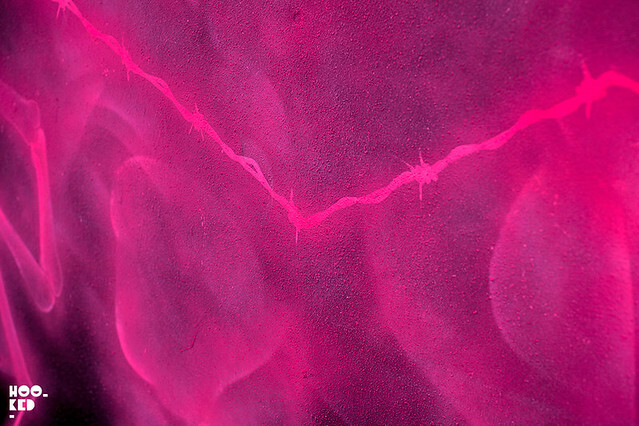 We love seeing artists painting together especially when they are experimental productions such as this, rather than the so-called collaborative walls we see so often, with each artist painting side by side in their allocated space, but with no cohesiveness to the overall finished work. 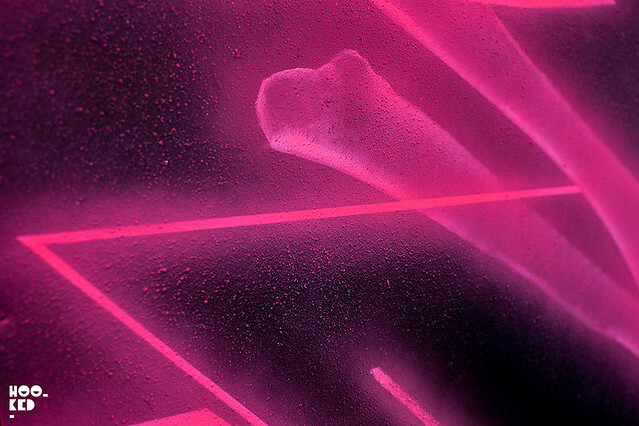 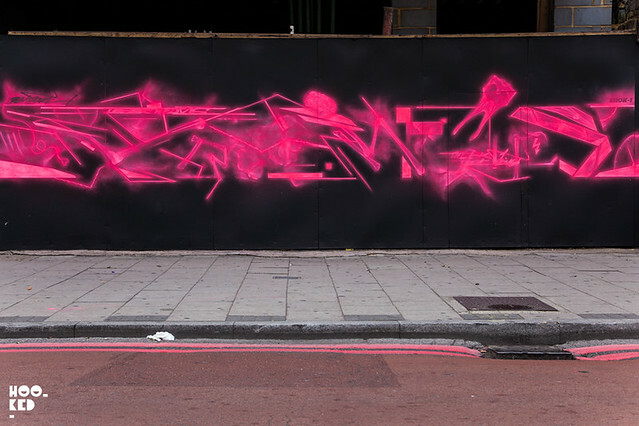 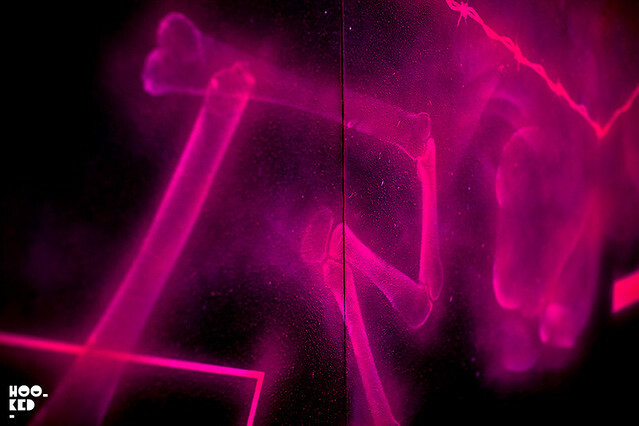 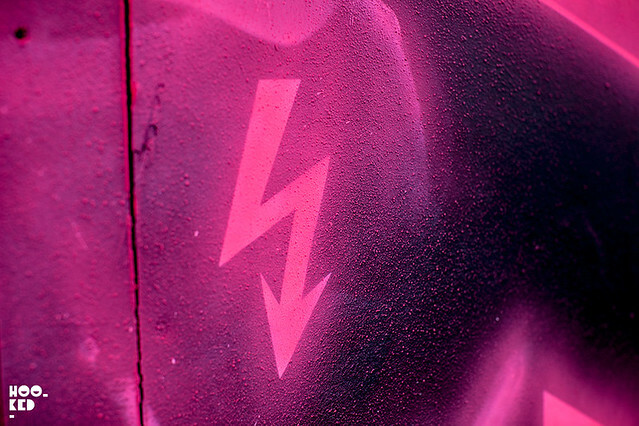 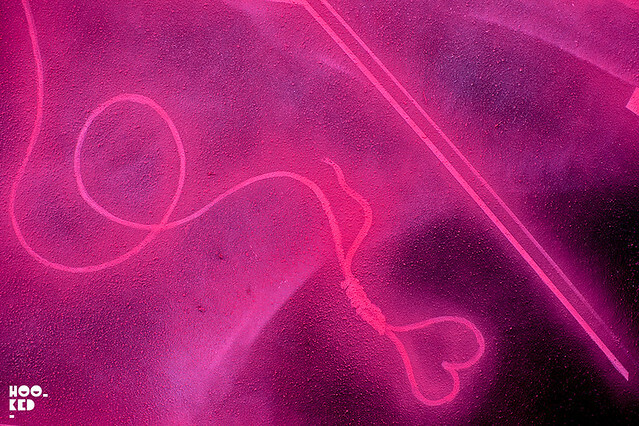 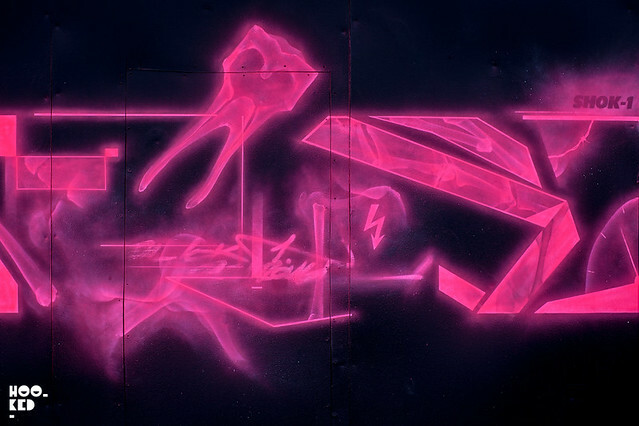 With the use of electric neon pink against the black, Remi Rough and Shok-1 have once again successfully brought their distinctive styles together, creating something exciting and fresh in this unmissable piece that certainly packs a punch!